This course prepares you to sit the exams to qualify as ECQA® Certified Terminology Manager_engineering. 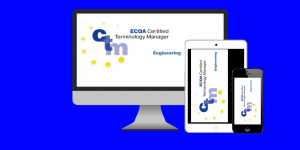 This file contains the skills and competences of an ECQA Certified Terminology Manager_advanced level, with focus on engineering and technical terminology. It is the international "driving licence" for senior terminology professionals in engineering and technical environments.